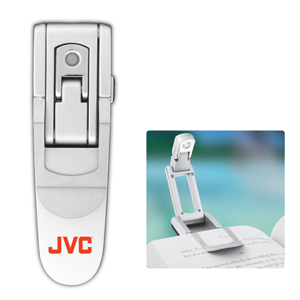 A plastic robotic folding book light with a clip. At the touch of a button, 3 arms unfold to turn on the LED light. Button batteries installed. Individually packaged in a white box. SKU:L-278. Categories: Torches, Promotional Merchandise.